Home / Blog / Which Timber is Best for Bookshelves? Even with the rise of e-books and digital tablets, there is still a place for well made bookshelves. For many people, this means grappling with Billy or whatever Argos’ equivalent to IKEA’s bookshelf may be. Cheap and cheerful they may be, they are virtually disposable if you have an extensive library. They tend to use chipboard with a wood effect, which is all right for paperbacks and little else. You might prefer to make your own bookshelf, or have a custom-built one. 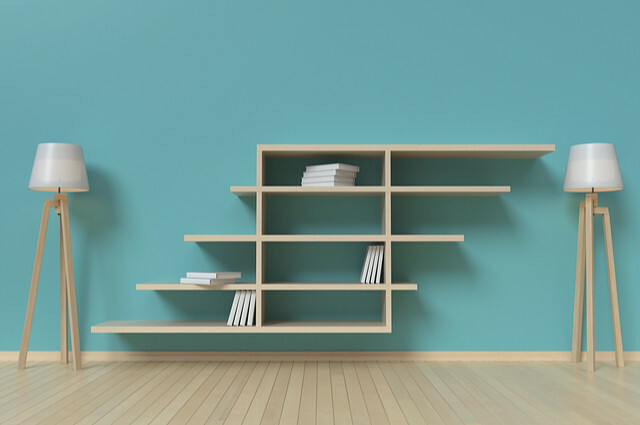 If you choose to take the former route, you can create a shelving system which not only suits your personal library. One that also best fits your room, regardless of size. For short length bookshelves, pine is a good material to work with. If you’re planning on building bookshelves in an alcove or with intermediate support, its strength comes into its own in plank form. Varnishing is recommended. As hardwoods go, Cherry is lightweight yet easy to use. This makes the wood an easy material to work with for beginners. For bookshelves, this is a most robust wood. This makes mahogany an ideal wood for storing hardback books and heavy audio equipment. For absolute beginners, this is the toughest wood to work with. As an alternative to softwood and hardwood, plywood is a good material for budding DIY shelf builders. Best used with a laminate coating on the top, bottom and front of each shelf. You could consider sourcing your wood from architectural salvage companies. The SalvoWEB site is a useful source not only for wood, but also for fireplaces and other items. For inspiration, why not sign up to Pinterest? This social networking site offers a lot of inspirational ideas for DIY shelving fanatics.